March 25 is the date celebrated by Venetians as the founding of Venice. 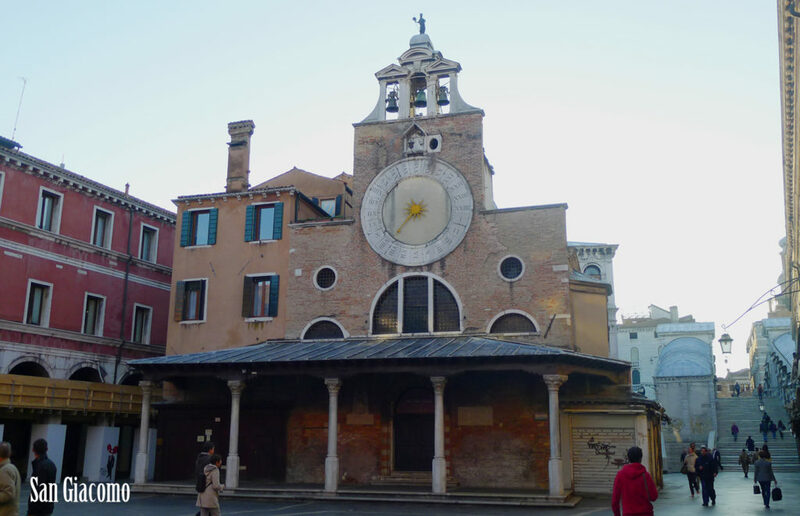 It was the date of the dedication of its first church, San Giacomo on the island of Rialto. For today’s travelers, it is the building by the end of the Rialto Bridge near the famed Fish Market. The church (chiesa) was dedicated at the stroke of noon on March 25, 421AD. This puts into perspective the use of a clock on a church (though of course all the 139 churches have bell towers.) The clock has just been restored to fully functional. 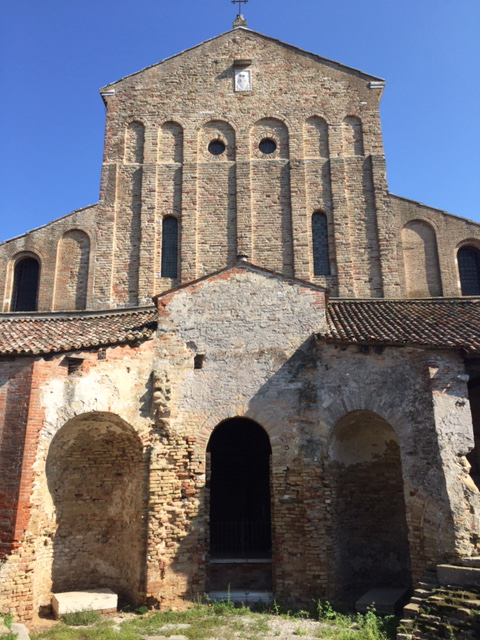 The church has been remodeled many times and in 1503, it survived a fire which destroyed the rest of the area, and was restored from 1601 by Doge Grimani. 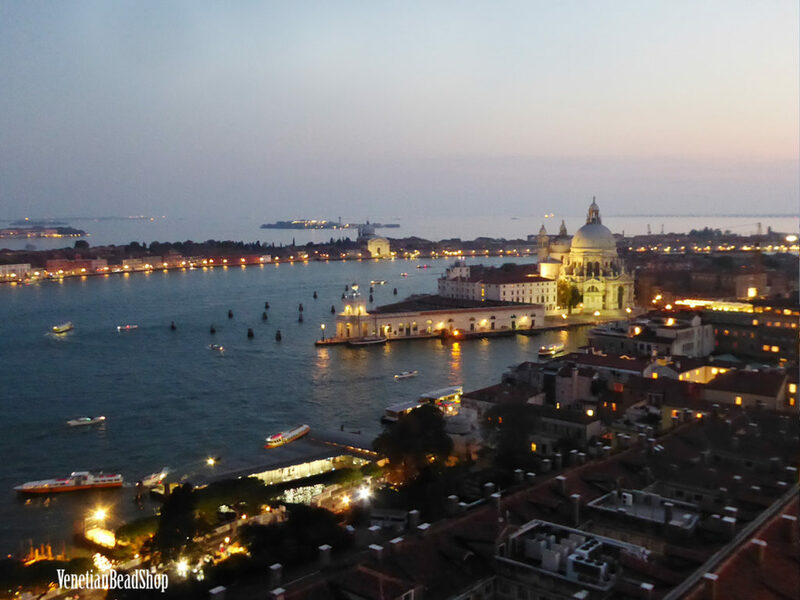 On this founding date in 421, of course Venice did not appear as it does today. It was just a few marshy islands, many disappearing at high tide (well that is sort of still true). The residents on the mainland had fled to avoid being killed by the invasion of well a series of predators, the Germanic and Hun invaders. Below is a picture from the air of part of the lagoon. If it looks like this today, imagine what it looked like in 421. Funny, this is still true, though today they are called tourists and hopefully bring money instead of coming to pillage! These brave fisherman set up small villages and eventually began recovering land from the lagoon by pounding wooden poles into the mud (fango) and slowly filling inside these barriers with additional mud from the lagoon. 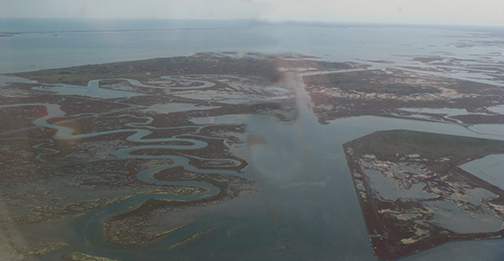 The earliest of these settlements was not in Venice that tourist today know, rather on the island of Torcella as it was closer to the mainland. The mud and water provided a natural barrier and their small flat bottomed boats gave them mobility. Originally, these people only left their homes when the alarm was sounded of impending invasion. Finally, they just built new communities and so we have today’s incredible, magical Venice. Not all island settlements survived. 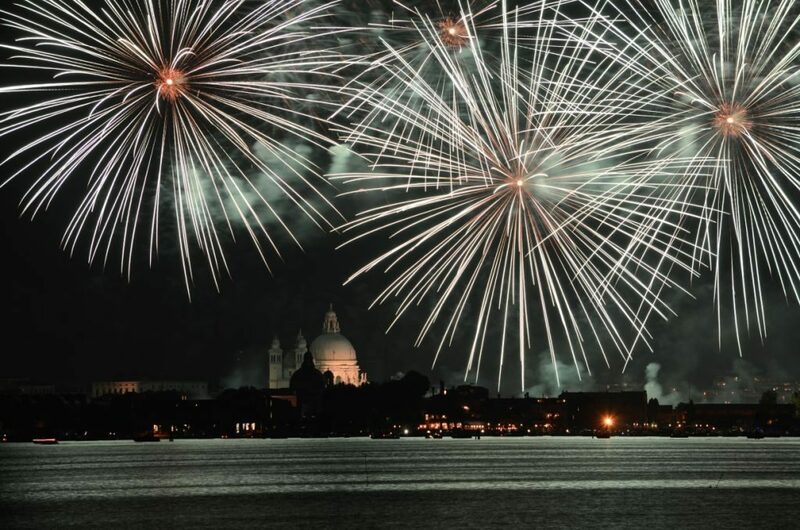 So today we celebrate all that brought us Venice to enjoy. And I can’t wait for the 1600th. Great blog! Great photos which remind me of a city I love very much.